At last year's open source conference, I gave a talk about fundamental problems of computer science. 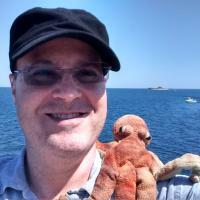 I talked about undecidable problems and NP-complete problems, and some other stuff. It was only a 45-minute talk, but I worked hard to make it as accessible as I could. Knapsack is a pretty good example problem. It's simple, easy to understand, and reasonably easy to see why it might be interesting. But after I gave the talk, I thought of a much better example. I deeply regret that I didn't come up with it in time to put it in the talk. Fortunately, I now have a blog. Read on; here's the coolest NP-complete problem ever. When the segments are released on video, they are bundled in groups of three. Usually, the three segments will have a common theme. 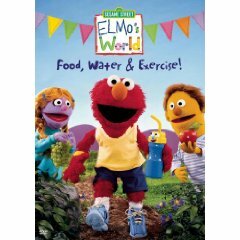 For example, the video Wake Up With Elmo! (left) gathers together the three segments about "sleep", "getting dressed", and "tooth brushing". Another video (right) collects the segments about "food", "water", and "exercise". Your job is to plan the video releases. Sesame Workshop gives you a list of which sets of three segments are considered to be thematically related. Your job is to select items from this list that exhaust the available segments, without using any segment more than once. Each segment might be part of several different thematically-related groups. For example, the "dancing" segment could be released on a physical-activity-themed video, along with the "bicycle" and "exercise" segments, or it could be released on a party-themed video, along with the "birthday" and "games" segments. If you choose to release the physical activity collection, you foreclose the possibility of releasing the party collection, and you will have to find something else to do with the "birthday" and "games" segments. This problem is NP-complete. The official computer science jargon name for it is exact cover by 3-sets, or just X3C. The Sesame Workshop people were not able to solve the problem. 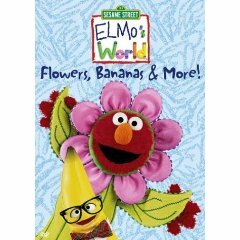 One of the videos in the series is about flowers, bananas, and hair.